Kalmar, part of Cargotec, has gained an order for three Kalmar hybrid shuttle carriers from the Port of Virginia, a multi-terminal container and breakbulk cargo complex located in Virginia, 18 miles from the Atlantic Ocean. The 1-over-1 hybrid shuttle carriers will be dedicated to operations at Virginia International Gateway (VIG), one of the port's four terminals. The order was booked into Cargotec's 2014 fourth quarter order intake with delivery scheduled for third quarter 2015. VIG is a semi-automated operation with automatic stacking cranes (ASCs) in the yard operations and manual shuttle carriers used for the transport of containers from the ship-to-shore area to the ASCs. Moreover, VIG is a forerunner in the implementation of the ASC and shuttle carrier concept and a benchmark in the industry. The shuttle carrier as the mode of horizontal transportation ensures high efficiency by decoupling the terminal's waterside and landside operations. John F. Reinhart, CEO and executive director of the Virginia Port Authority said: "One of the focus areas for us is to increase the terminal capacity at a sufficient pace to keep up with growing demand while remaining flexible in our operations and reducing our carbon footprint and fuel costs. The ASC and shuttle setup fits this requirement perfectly. Kalmar's new innovative technology, especially the hybrid solution, helps us to meet one of our goals: sustainability - being gentle on the environment when and where possible." 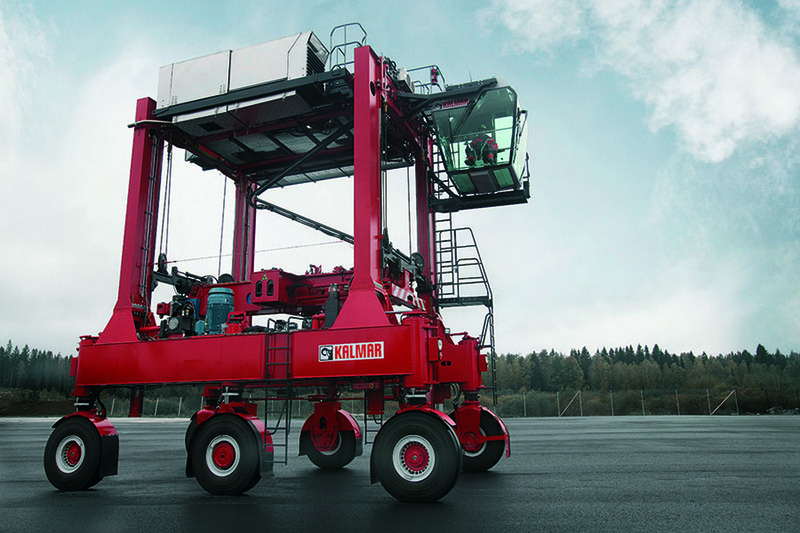 The Kalmar hybrid shuttle carriers for VIG have a 50-ton capacity and are equipped with an extendable twin-lift spreader. Their regenerative energy system converts electrical braking and spreader lowering energy into electric power that is stored by the state-of-the-art battery technology. An automated start-stop system chooses the optimal balance between engine and battery power. The system can deliver a remarkable 40% decrease in fuel consumption compared to existing machines in the market while meeting the most stringent engine emission regulations worldwide. This not only adds up to significant cost savings for the terminal, but also improves the sustainability of operations. 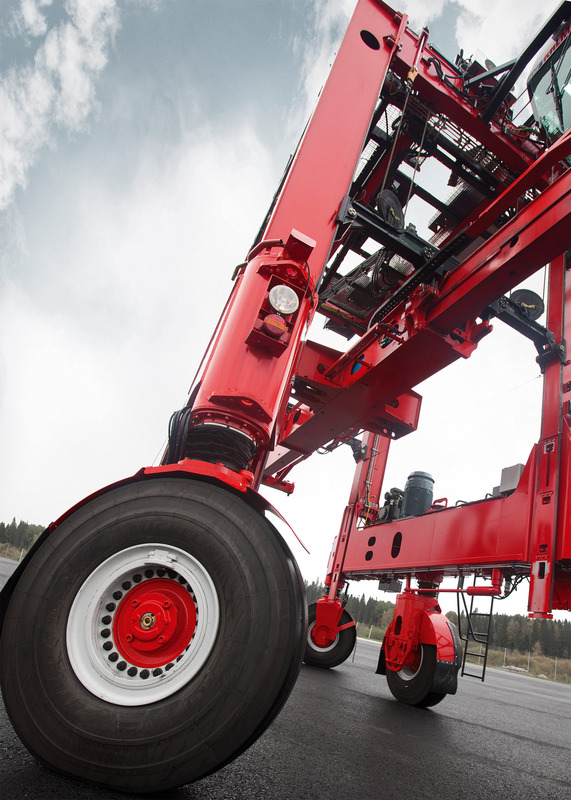 Tero Kokko, Vice President, Horizontal Transportation at Kalmar said: "The redesigned drive and steering system with individual control of each wheel enables the machine to move diagonally in 'crab' mode or even pirouette on the spot around its vertical axis. This radical increase in maneuverability enables shorter work cycles and reduces terminal congestion. For further operator comfort and stability, at high speeds the shuttle carrier automatically switches to 'truck' mode with the front wheels steering. "Improving machine stability without decreasing performance is highly valued by our customers. The Kalmar hybrid shuttle carrier has an upgraded active stability control system as a standard, ensuring smooth and safe driving by continuously monitoring speed, turn radius and the spreader's position, slowing the vehicle speed down automatically when needed," Kokko continued. The Port of Virginia is the third customer to opt for the Kalmar new-generation hybrid technology.